May 4th in Magazine Themes by Wordpress Jedi . There are plenty of independent news sites and online magazines around these days. If you are passionate about online publishing, there is no reason you shouldn’t run your own online magazine. You will need a good looking website to stay competitive though. Herald for WordPress is an attractive news theme that supports a ton of variations, allowing you to showcase your content just how you want. February 20th in WordPress Themes by Wordpress Jedi . Plenty of webmasters rely on WordPress to manage their content. Whether you have a simple blog or a sophisticated online magazine, there is a decent theme out there for you. 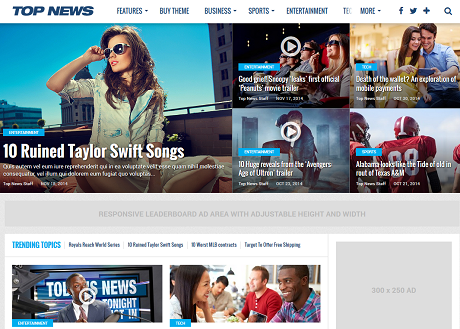 Top News happens to be dynamic theme for news and magazine sites. This theme is fully responsive and ready for Retina displays. It has a sticky sidebar, Google fonts, a trending news widget, and a mega menu system to allow you to showcase your top content more effectively. September 24th in WordPress Themes by Wordpress Jedi . WordPress is a wonderful content management system that can handle all kinds of websites. It is not a surprise that many blogs and magazine sites are powered by WordPress. 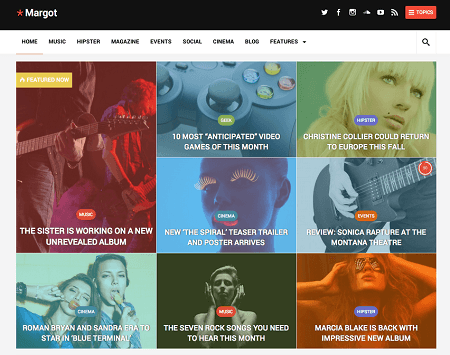 If you want to seriously pursue building your own magazine, you should consider investing in a custom theme for your site. Don’t have money to start? Purchasing a premium theme like Margot and modifying it yourself is not a bad idea. This is an elegant, responsive theme built with Bootstrap 3.2. April 4th in WordPress Themes by Wordpress Jedi . Until a few years ago, starting a quality magazine site was not easy or affordable. It required a lot of investment and resources to succeed. Running a very successful online magazine is still hard these days. But a lot more folks have the opportunity to get involved in this industry. Getting your own custom theme for your business could set your business apart from your competitors. Not everyone affords to get that done. 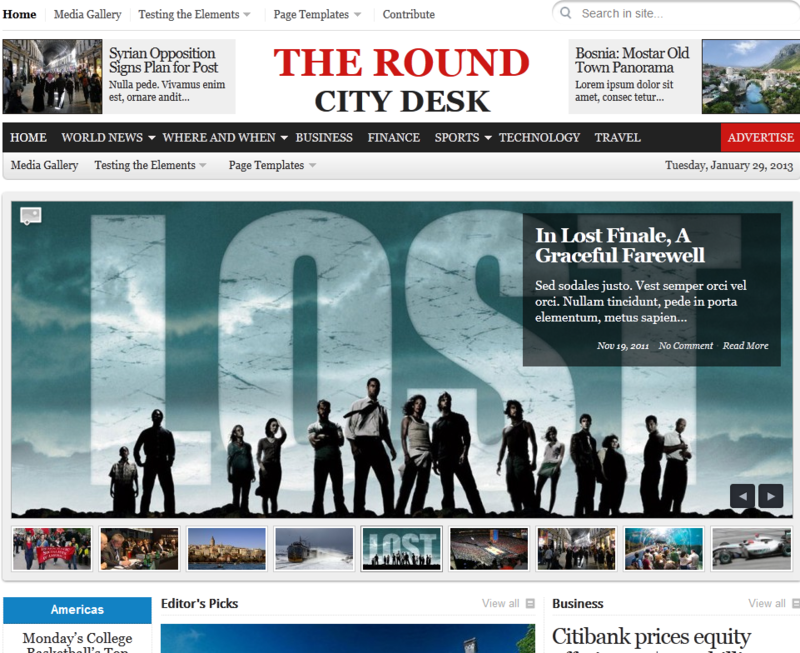 Premium themes like City Desk are more than capable of giving your magazine a decent look. February 16th in Magazine Themes by Wordpress Jedi . Starting your own online magazine does not have to be a hassle these days. The costs of hosting a WordPress site online are not that high, especially when you are getting started. WordPress and most the plugins you need to get started are free, so you won’t need to invest a fortune to get started. You will need great content and a good looking theme though. 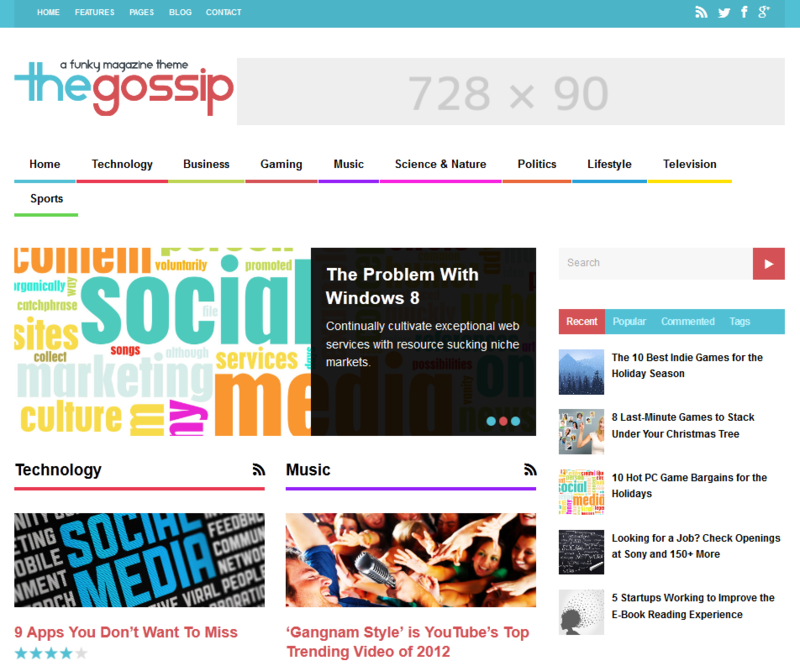 The Gossip is an elegant theme that gives your magazine site a decent look. August 16th in WordPress Themes by Wordpress Jedi . There is no question that people are always looking for new blood to provide them with the news in a whole new fashion. In the age of the Internet, you don’t need to spend a whole lot of money to get your news website online. Writing impeccable articles is another story though. 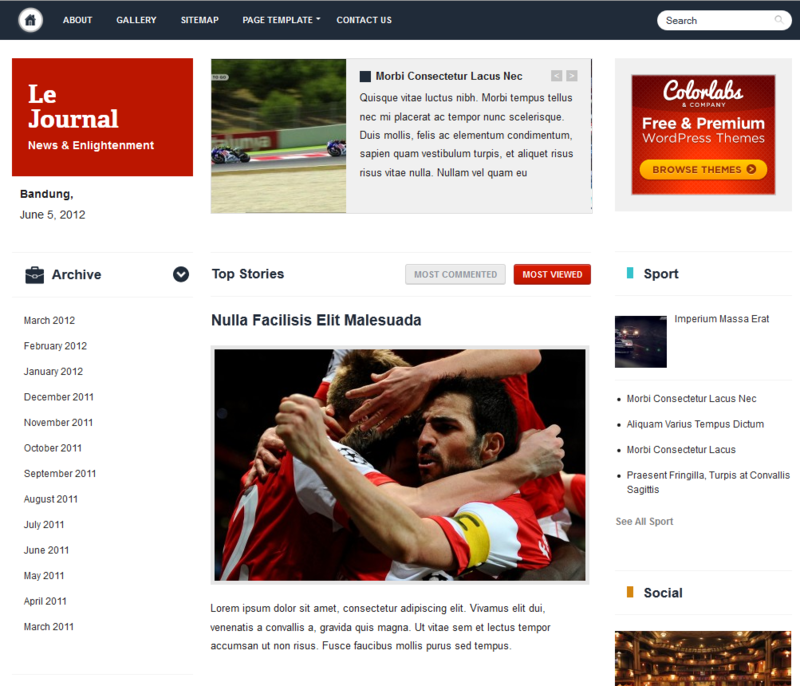 Le Journal for WordPress is an elegant theme designed for news sites and online publishers. It has everything you need to report the news in a professional manner. June 14th in Magazine Themes by Wordpress Jedi . These days we don’t need TV and the mainstream media to discover the news. There are plenty of credible websites and independent news outlets that cover newsworthy items all the time. If you are passionate about covering the news, there is no reason you can’t start a business doing what you love. 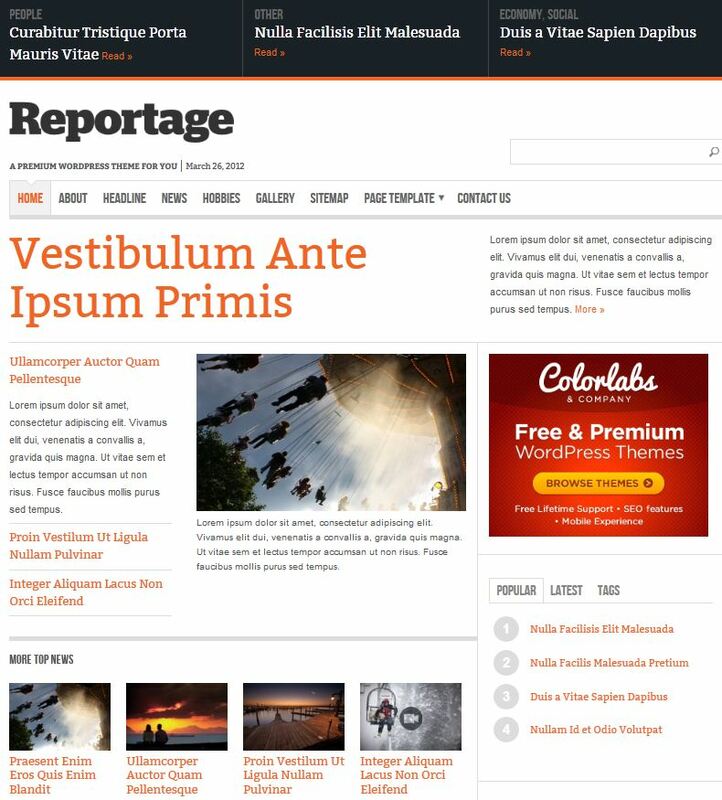 Reportage for WordPress is an attractive theme for content heavy portals. Whether you are an independent journalist or have a team of reporters working for you, Reportage has something for you.